On Easter Monday, in Trivero, Oasi Zegna, Biella, a speciale Botanical Treasure Hunt for kids and their families in collaboration with Grandi Giardini Italiani. Also this year Oasi Zegna, a nature park in the Biella Alps in Piemonte, joined Grandi Giardini Italiani, a network of Italy’s most beautiful gardens founded in 1997 by Judith Wade. (For further info: www.grandigiardini.it). One result of this collaboration is the "Botanical Treasure hunt" scheduled for Easter Monday, Monday 22 April. The event’s meeting point, on Easter Monday, is Brughiera. It will be a day dedicated entirely to outdoor fun in which kids from 6 to 11 will follow a recreational course (involving images, quizzes and riddles) and come into contact with trees in the woods around Santuario Nostra Signora della Brughiera (15th and 17th cent.) in Oasi Zegna. The kids will be divided into teams and will have to do some extremely careful and detailed observation of nature, and vegetation in particular, if they want to win. The participants will have the adventurous task of picking plants to prepare a personal herbarium that they can keep as a souvenir of the day. Times: meet up at 10:30 at the Albergo Ristorante “Il Castagneto”. The treasure hunt will end by 13:00. The activities, designed for kids from 6 to 11, will take place in the surrounding woods and meadows, so we recommend comfortable clothes, hiking boots, sun hat and water. 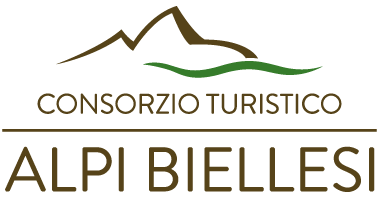 In the event of rain, there will be a biodiversity workshop for kids in the Albergo Ristorante Castagneto. Information and registration:Equipe Arc en Ciel tel.+39 015.0990725 Price per child: € 10.00 Parents will be offered a special walk to discover the land along the Brughiera path. In Trivero, treat yourself to a stay of relaxation and spirituality in a farmhouse whose rooms are named after trees. A farmstay and educational facility where traditional flavors can be enjoyed in a family atmosphere.